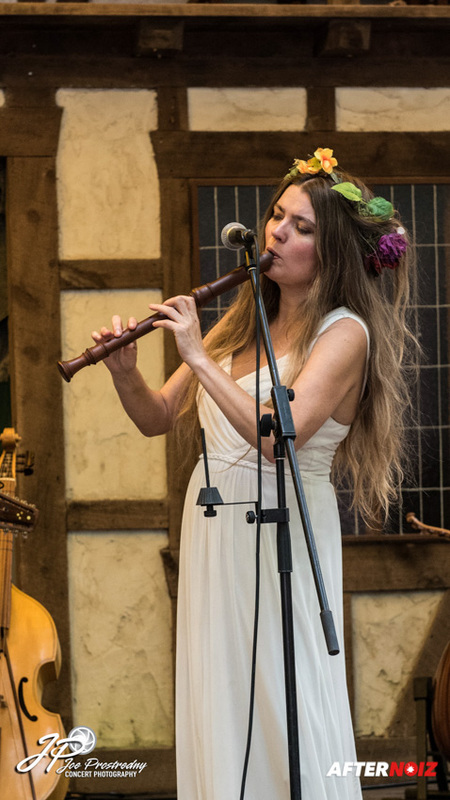 The Maryland Renaissance Festival is a great place to go see a wide variety of musical acts with Mediaeval and Renaissance flair. 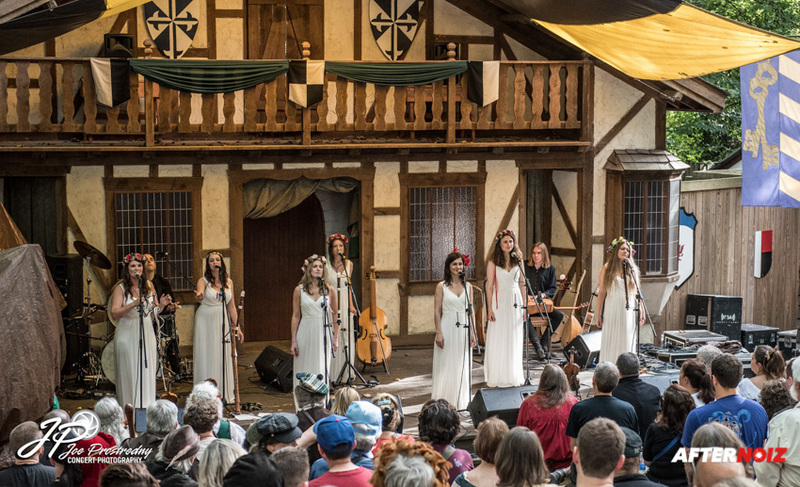 But approximately every other year, we get a special treat as the Mediaeval Baebes include a stop at the fair during their North American tours. 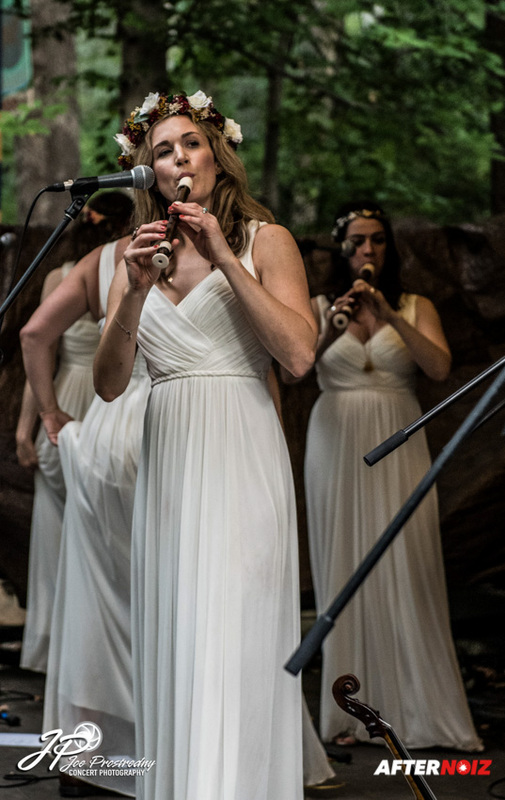 I first “discovered” the Mediaeval Baebes several years ago at the Renaissance Festival when I noticed a crowd of several hundred people gathering at one of the outdoor theaters. This piqued my interested as it was very unusual to see a show at the festival that drew so large of an audience. 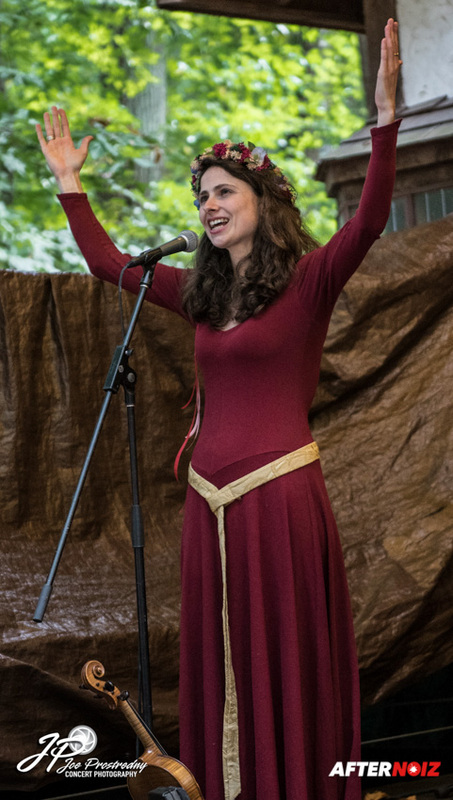 The outdoor theater was beyond capacity and overflowing with spectators in all directions. I managed to squeeze my way up until I had a clear view of the stage…. 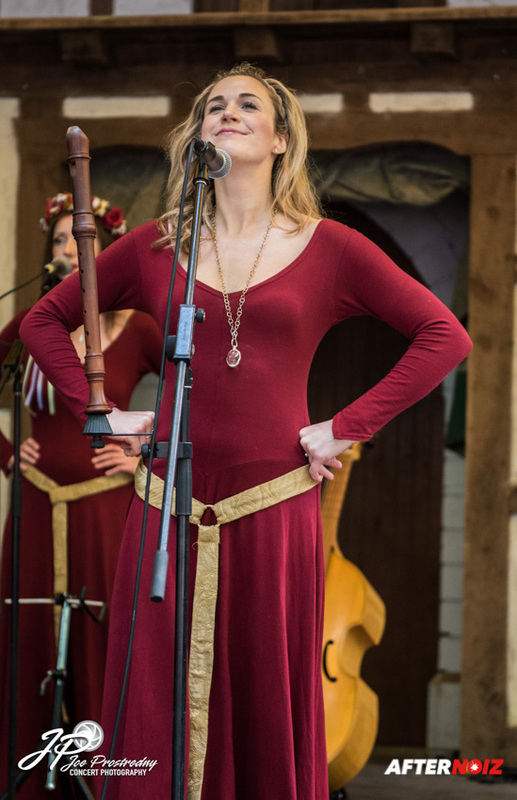 And I saw one of the most incredible vocal groups I have ever seen. 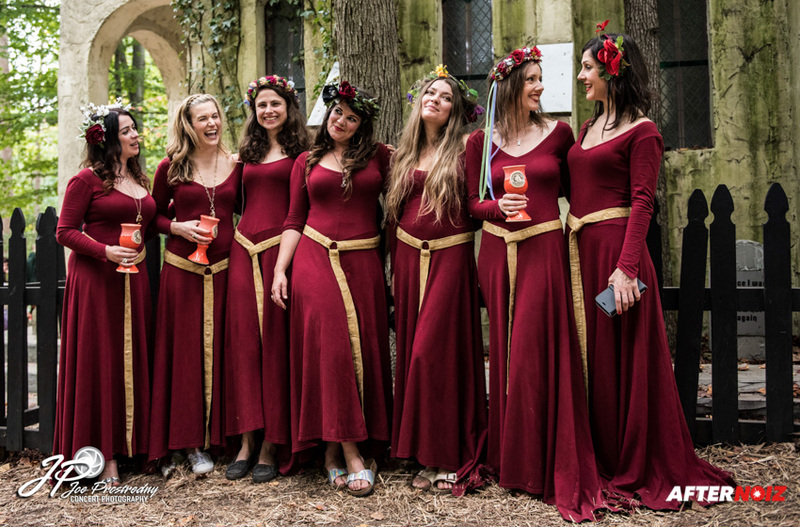 For those unfamiliar with this group; the Mediaeval Baebes are a vocal group from the UK consisting of very talented women that sing ancient folk songs and poems set to original music. 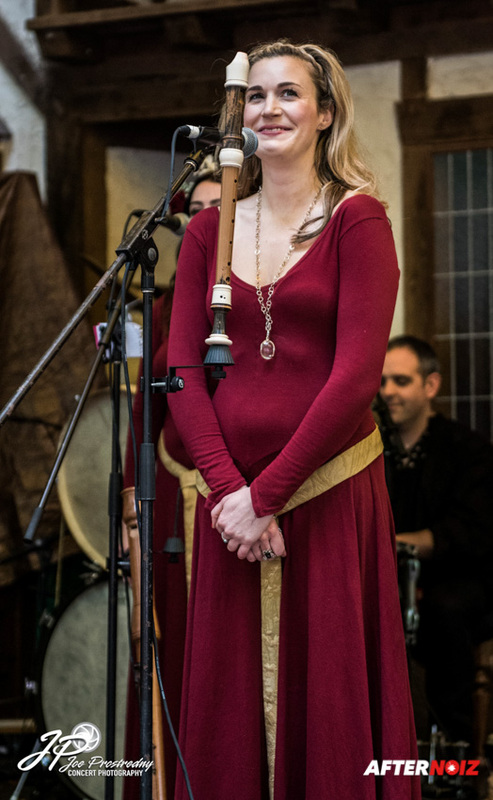 The music is performed with classical and mediaeval instruments. 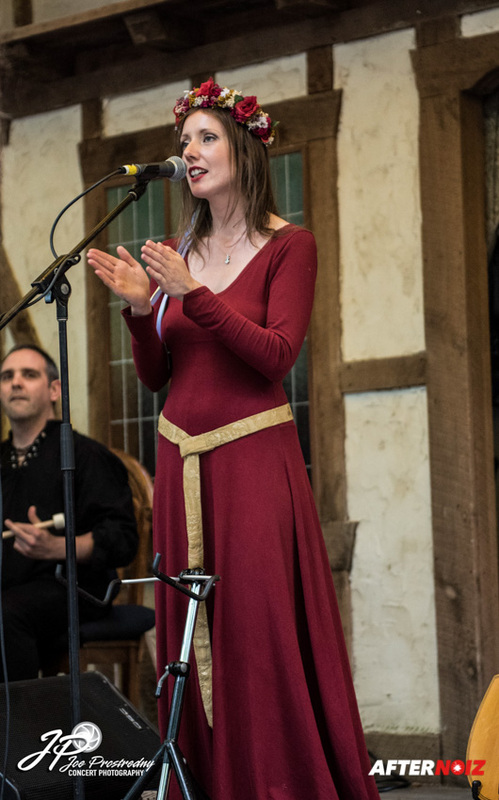 The vocal are sung in, not only modern English, but in an impressive array of other languages; both modern and ancient. 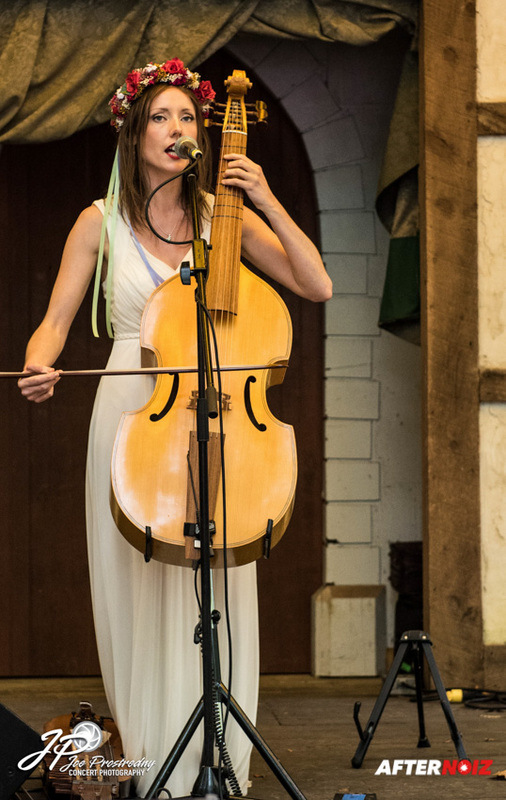 They normally perform in concert halls and have even done cathedral tours, but they always seem to love the Maryland Renaissance Festival. 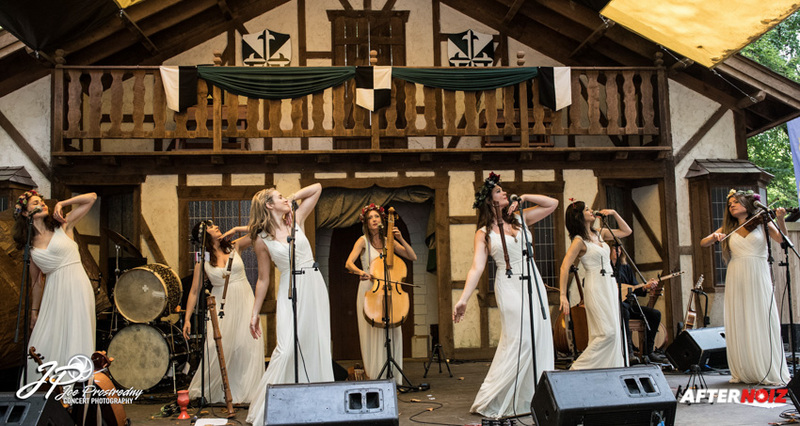 The Baebes first formed in the mid-90s and have released several studio albums. 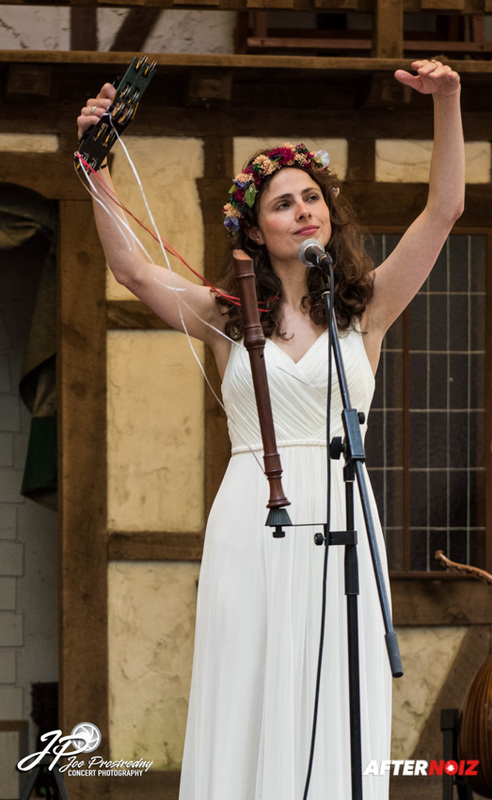 The first thing that is apparent to most people is that they are all very beautiful (they are Baebes after all!). 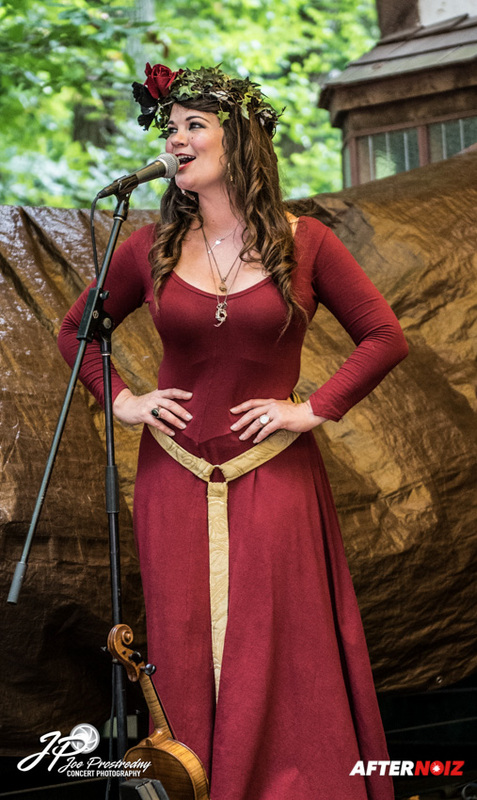 The next thing that becomes apparent, however, is that their physical beauty is completely eclipsed by the power and beauty of their voices. 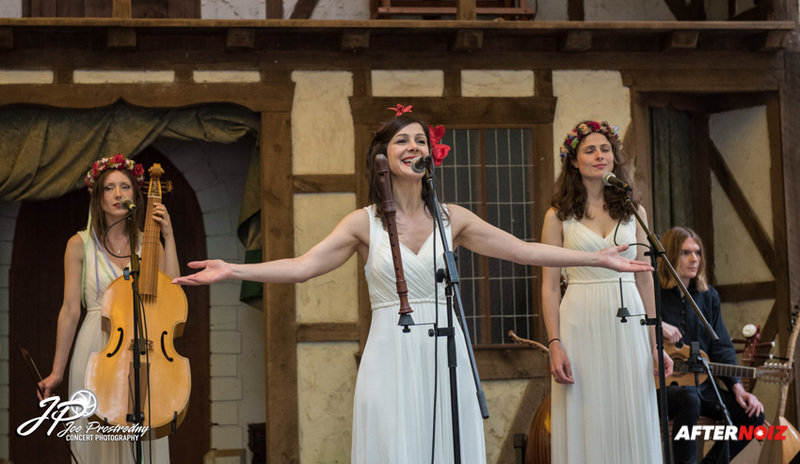 The ladies perform their songs with soaring vocals in complex harmonies. 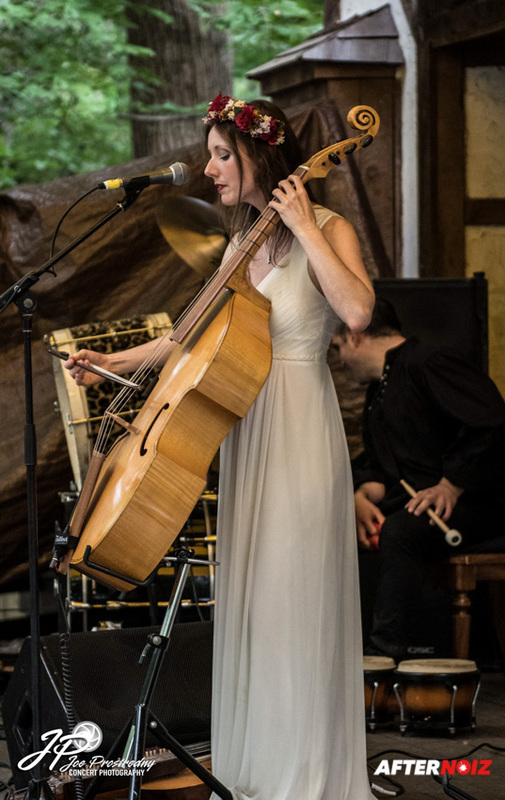 They are backed by musicians that play drums, acoustic guitar, and a variety of other stringed instruments. 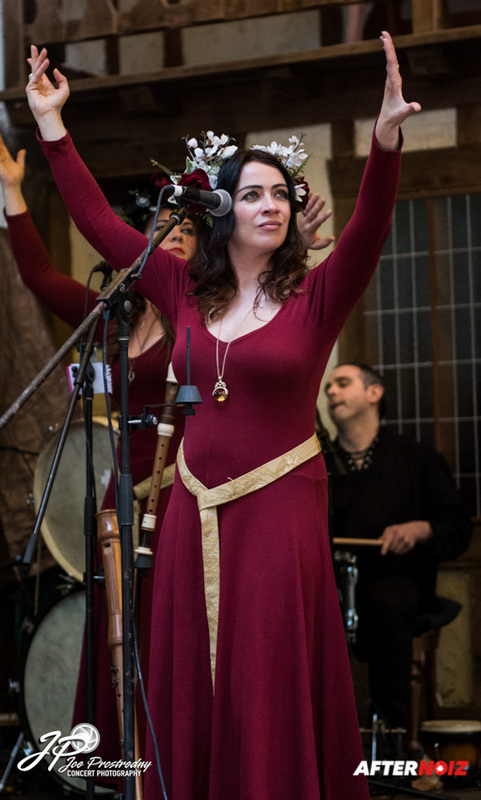 In addition to serenading us with their stunning vocals, the Baebes also dance and play a variety of instruments including recorders, a violin, a gamba and a Hurdy Gurdy. 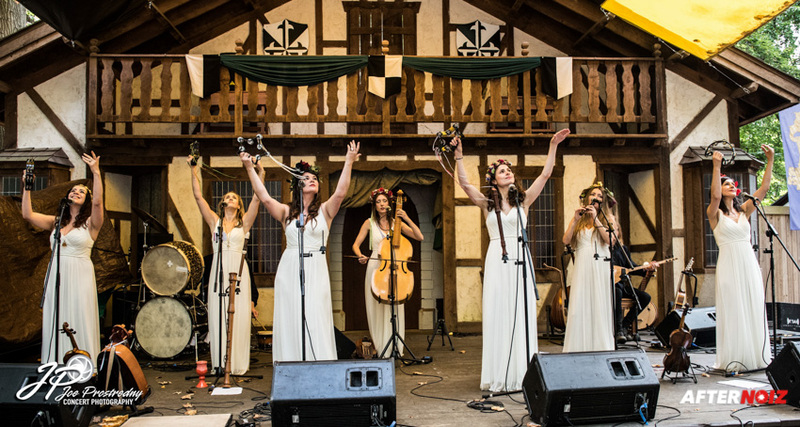 When the Mediaeval Baebes play at the festival, they play three thirty minute sets each day instead of one longer set as they do when performing in concert halls. 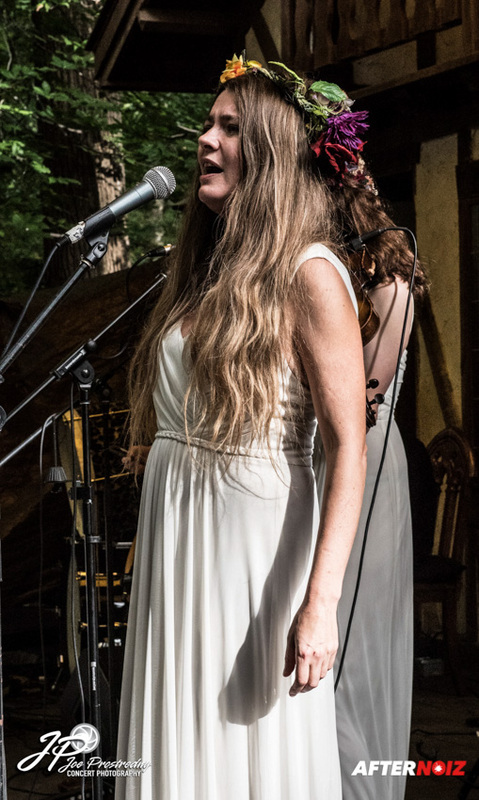 However, this is the type of venue where these ladies really shine; with the sun in the sky and the wild birds joining in the harmonies. 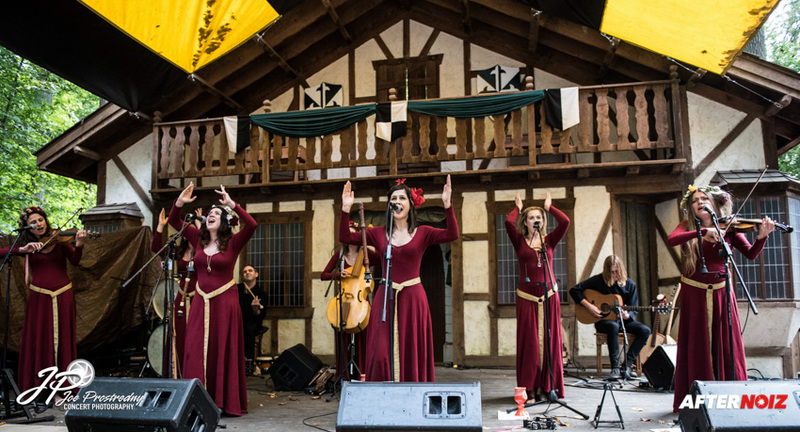 They play at an outdoor venue called the Black Friar Stage. Just as they had when I first saw them perform years ago, they drew hundreds of people to the venue. 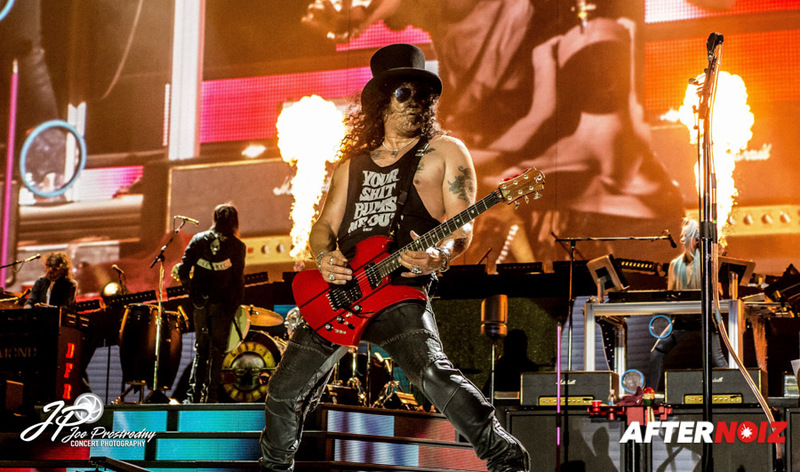 Many people came long distances to see them perform, and many camped out for hours to get the best seats. I made sure I arrived early as well. 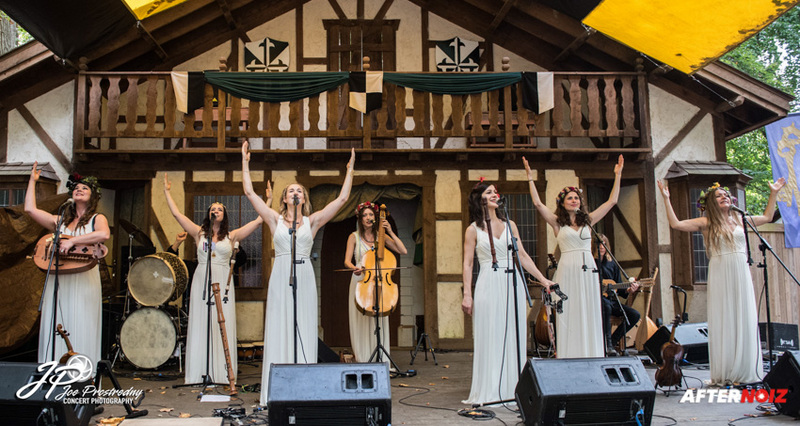 The Baebes performed for two days at the Renaissance Festival. They changed costumes between each set. 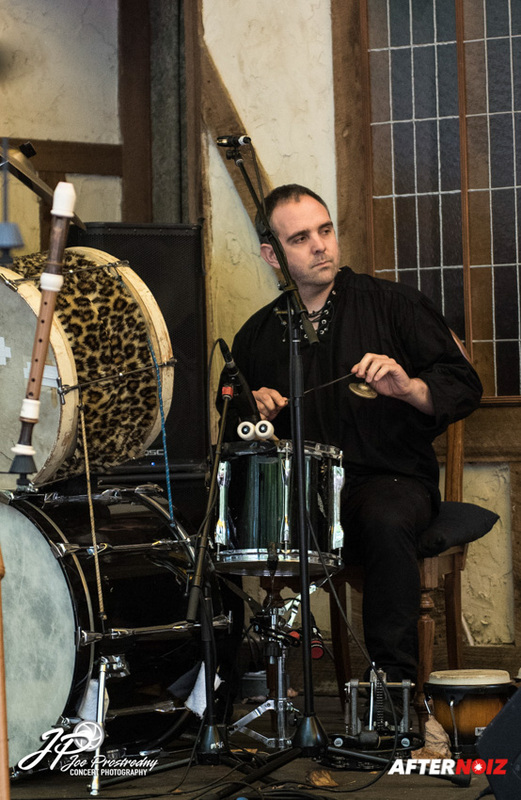 Many of the songs were the same from day to day, but there was variety, both in the songs themselves, and in the order in which they were performed. The performances were all breathtaking. 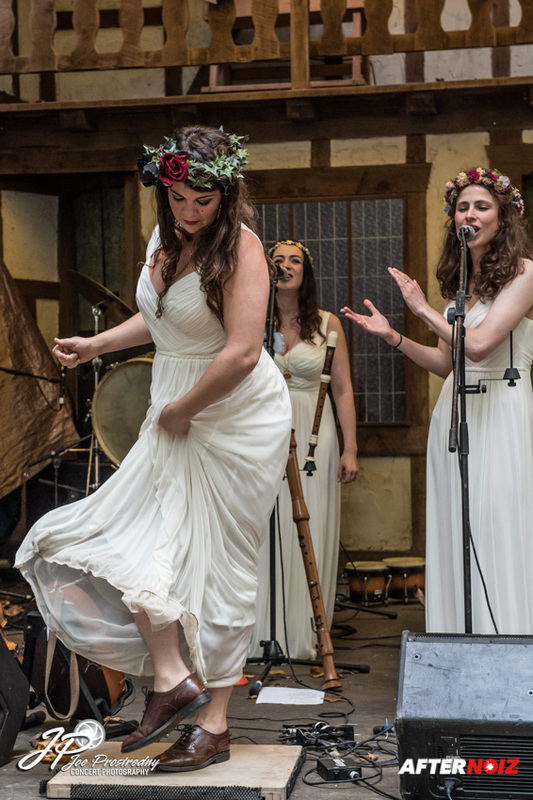 What is interesting to note as one looks around the venues in which these ladies perform; there really is no “typical” Mediaeval Baebes fan. The people that come to their shows are both young and old. 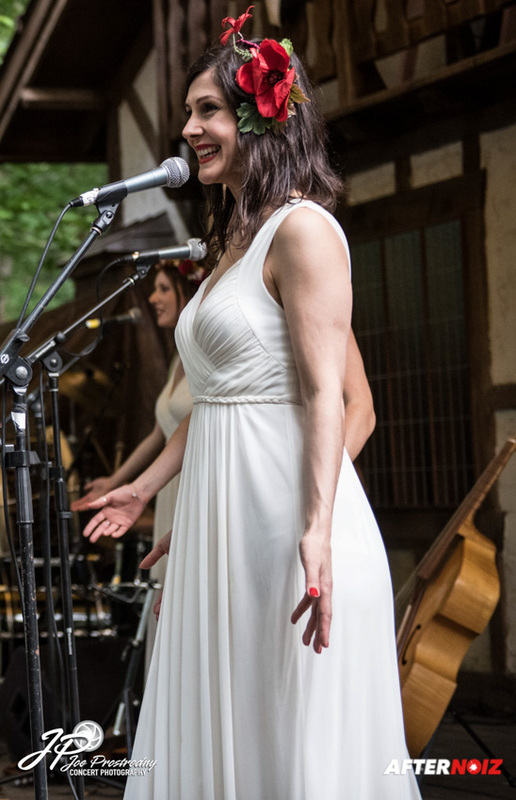 There are fans of pop, rock, classical, and even metal music in the audience; all clapping and cheering. 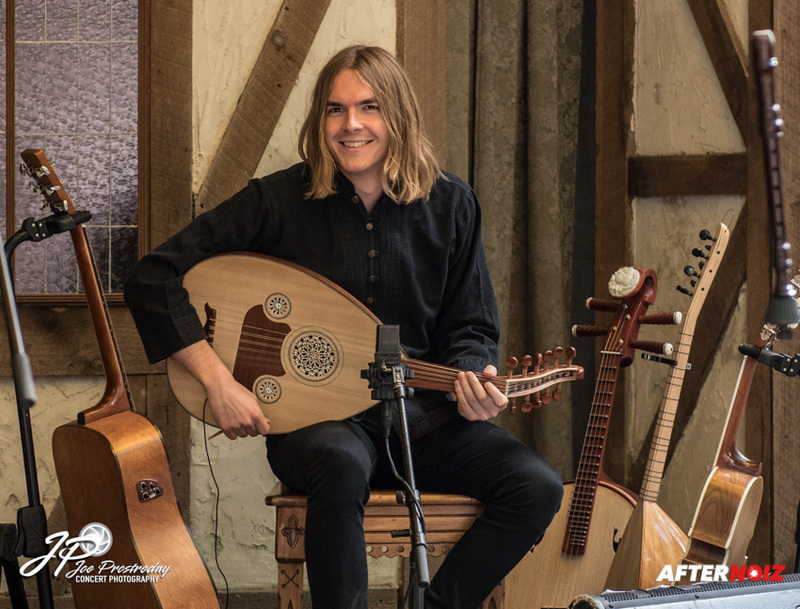 It really is great to see such talent being able to transcend musical genres, allowing people to enjoy it for what it is: stunning and beautiful. 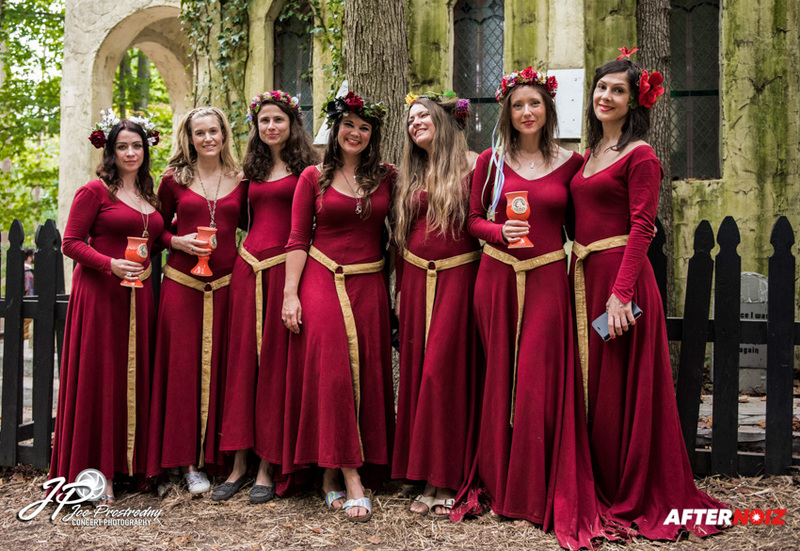 The Mediaeval Baebes are a very fan friendly group. 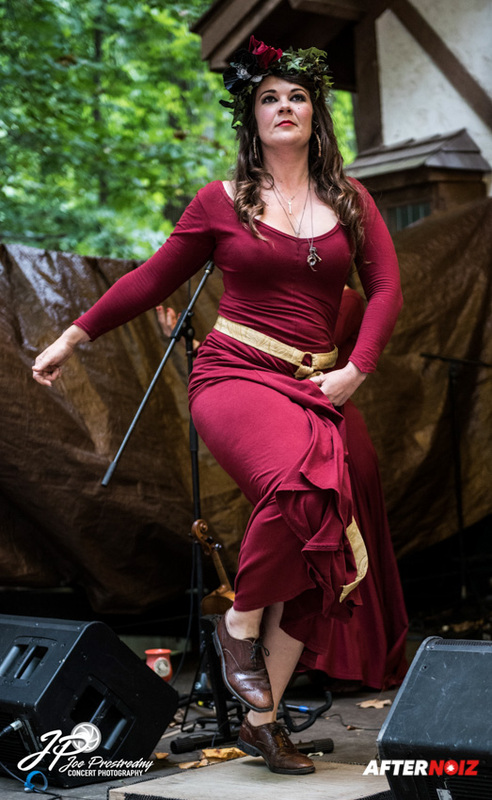 The came out after every set at the Renaissance Festival to meet fans, sign autographs, and pose for pictures. 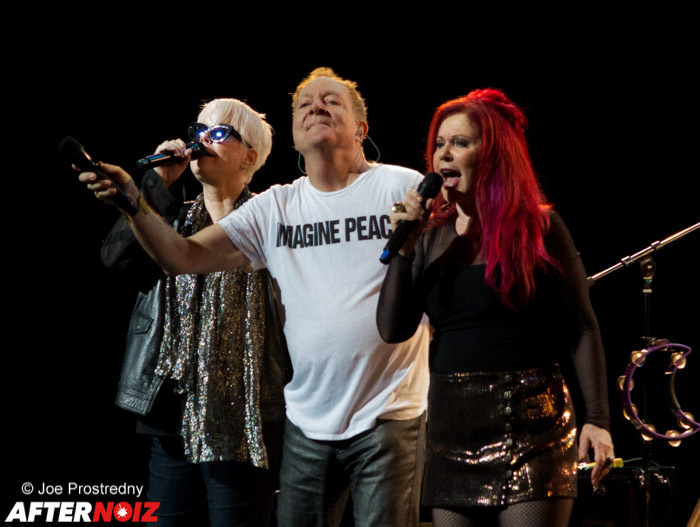 If you live in the USA, I hope you already had the opportunity to see them this time around. 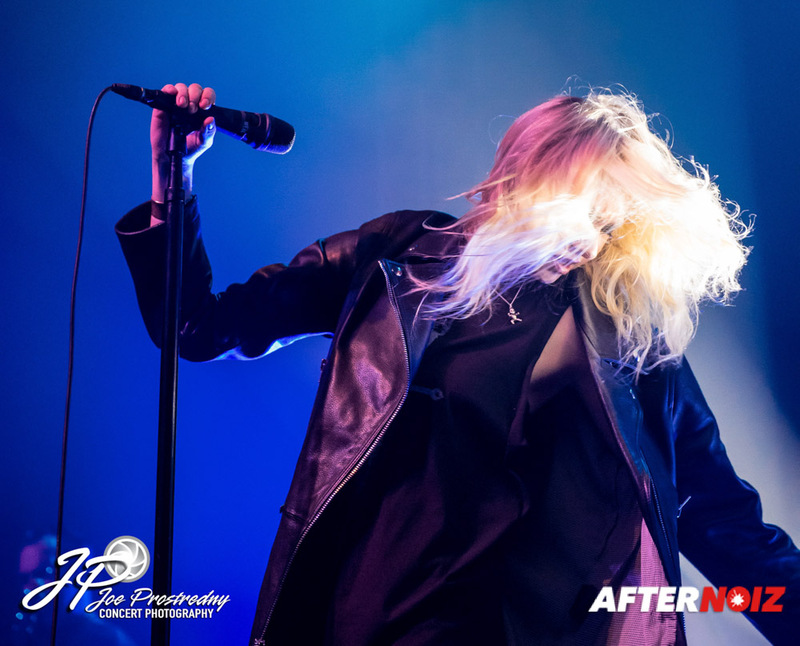 If you missed them, you may have to wait another two years to see them over here. But trust me; they are worth the wait! For those of you living in the UK, they will be performing their annual Cathedral Christmas Carol Tour in December. 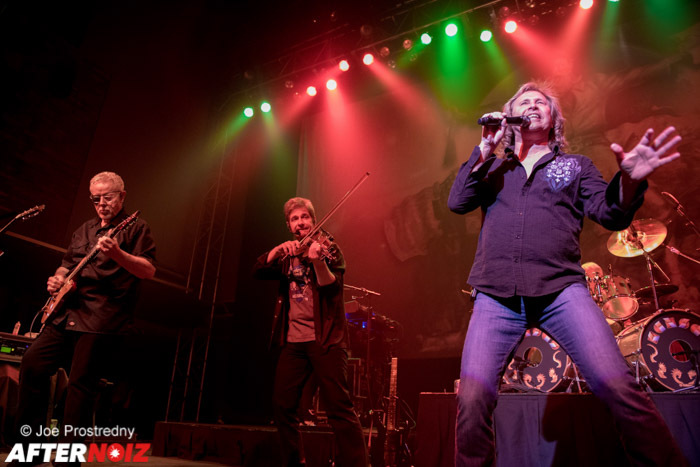 Be sure to see them when they come to your town! !